"A vision of pure magic." How many of you have ever seen this film? If you haven't, maybe now is a good time to get into Tarkovsky. The Film Society of Lincoln Center has debuted a brand new trailer for the digitally restored re-release of Andrei Tarkovsky's 1979 sci-fi film Stalker. While this was first released in Russia in 1979, it premiered at the Cannes Film Festival in 1980, and didn't hit US theaters until two years later. This 2k digitally restored version was commissioned by the Criterion Collection for a new release, with uncompressed monaural soundtrack on the Blu-ray. And if you live in NYC, you have the lucky chance to catch it on the big screen in early May. Many critics consider this Tarkovsky's masterpiece, for good reason. In a small, unnamed country there is an area called the Zone. It is apparently inhabited by aliens and contains the Room, wherein it is believed wishes are granted. The government has declared The Zone a no-go area. However, this has not stopped people from attempting to enter the Zone. We follow one such party, made up of a writer, who wants to use the experience as inspiration for his writing, and a professor, who wants to research the Zone for scientific purposes. Their guide is a man to whom the Zone is everything, the Stalker. Andrei Tarkovsky's Stalker was first released in the US in 1982, after premiering at the Cannes Film Festival in 1980. This restored version also played at the Montclair Film Festival. 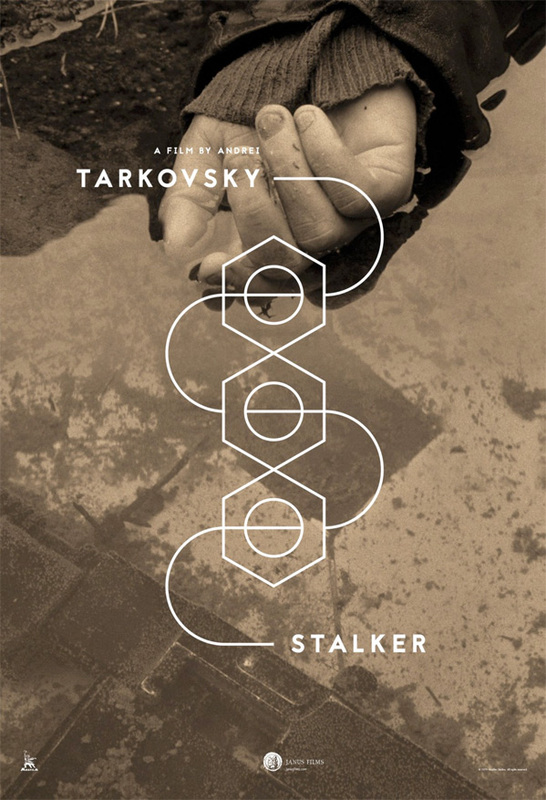 NYC's Film Society will be screening Stalker for only one week starting May 5th, followed by Tarkovsky's Solaris.